Omaha Public Power District is taking its electric vehicle (EV) research further with the launch of a new pilot, designed to educate customers on the technology, while also providing incentives for the purchase of certain home charging stations and EVs. Only about 600 EVs are currently registered in Nebraska. Half of those are within OPPD’s service territory. With improving technology and pricing, the EV market is poised for growth. 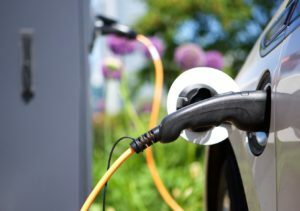 By educating customers, as well as connecting them with purchase incentives, the utility will gather more data to determine how best to integrate increased EV technology into OPPD’s electric system. OPPD is partnering with the Nebraska Community Energy Alliance (NCEA) in this effort. Read the entire release here. For more information, visit oppd.com/EVRebates. This entry was posted in Electric Vehicles, Nebraska / Midwest News and tagged Nebraska Community Energy Alliance, Omaha Public Power District, OPPD's rebates and education pilot program on June 11, 2018 by Helen Deffenbacher.